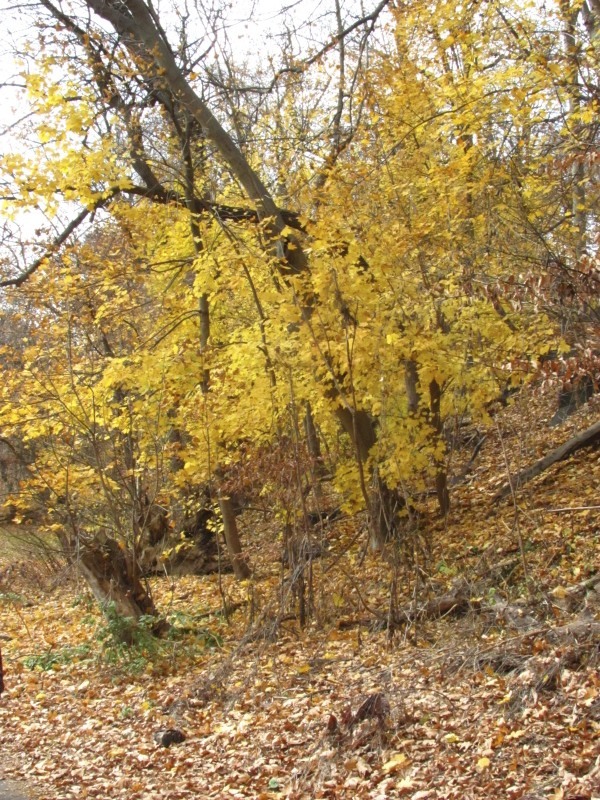 Glowing gold leaves in the Wissahickon Valley Park. Photo by Donna L. Long. I went on a strenuous hike in the Wissahickon. Even though the leaves were gone from the trees on city trees, leaves seem to stay on the trees longer in the Wissahickon Gorge. 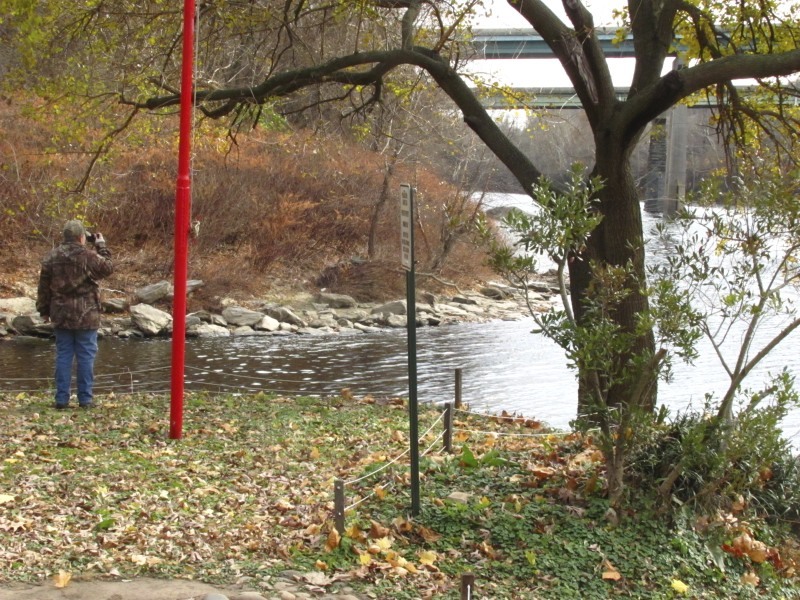 The Wissahickon Creek (left) joins the Schuylkill River (on the right). Photo by Donna L. Long. In this photo the Wissahickon Creek joins the larger faster Schuylkill River. Apparently, a recent study found that the Wissahickon water did not disperse throughout the Schuylkill River but flowed along the banks. This means the Queen Lane water intake station which is several yards don’t processes Wissahickon Water unadulterated by the Schuylkill River water at this particular spot. The Wissahickon water is waste water from five waster water treatment plants in Montgomery County. This means recycled and recycled again water. 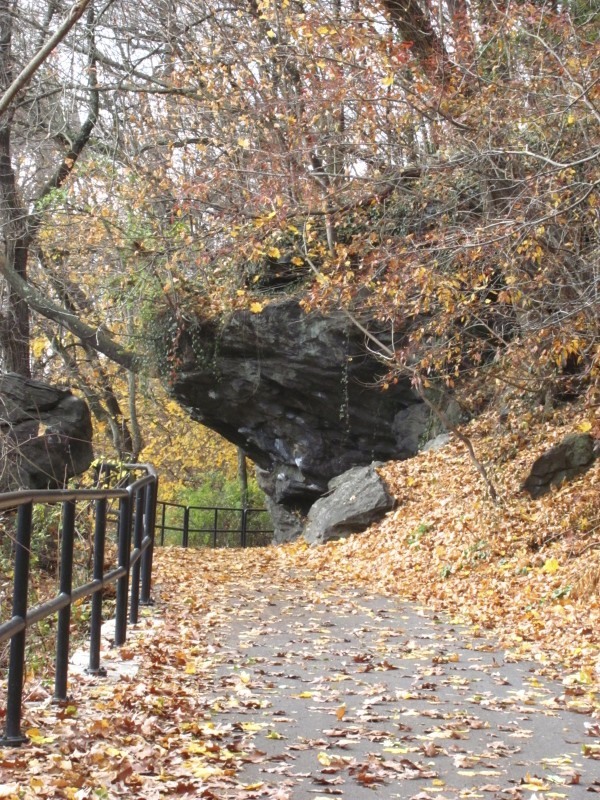 A path along Lincoln Drive in the Wissahickon Valley Park. Photo by Donna L. Long. 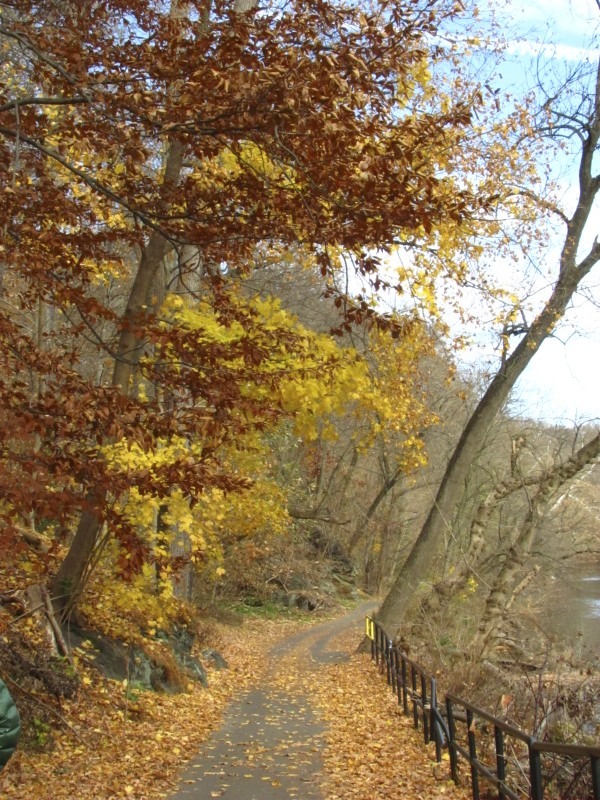 A path that overlooks the Wissahickon and Lincoln Drive. 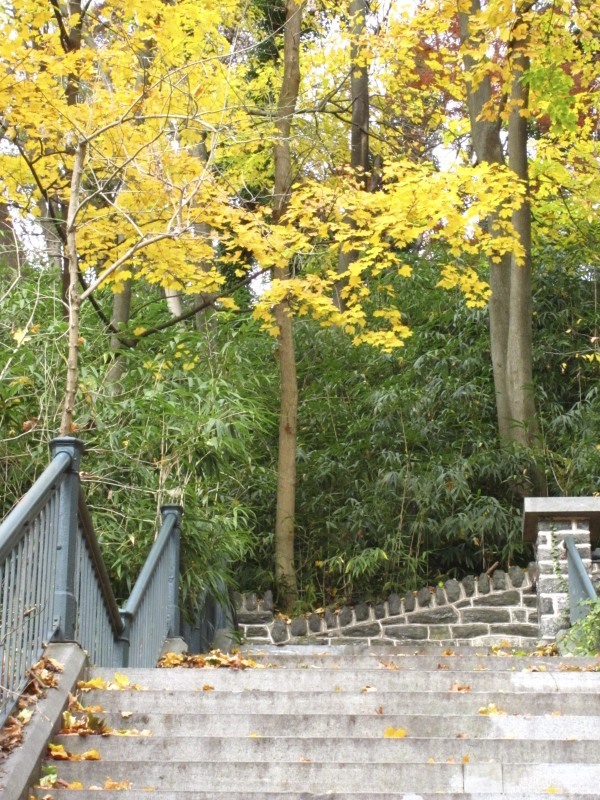 The ‘Hundred Steps’ in the Wissahickon Valley Park. Photo by Donna L. Long. Several fellow hikers climbed these steps and counted. Each came down with a different count. One hundred and two steps seems to be the average. 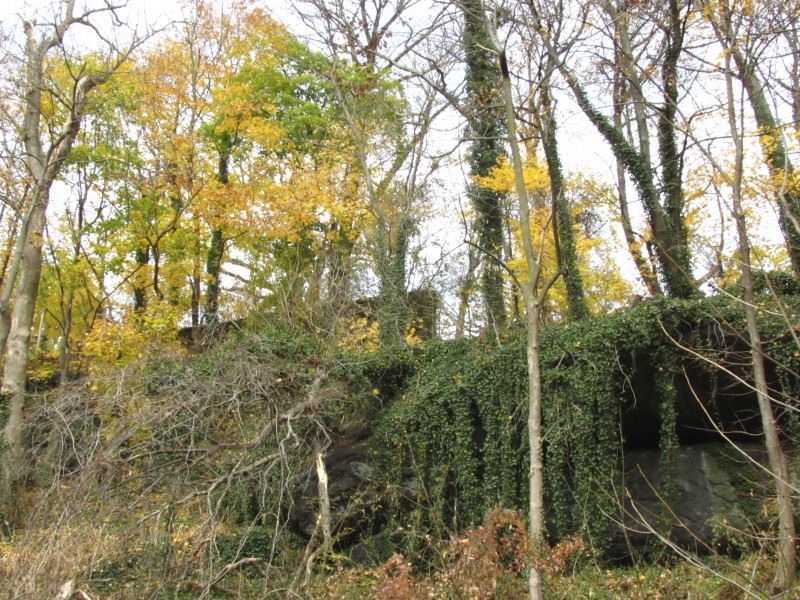 Invasive vines grow throughout the Wissahickon Valley Park. Photo by Donna L. Long. 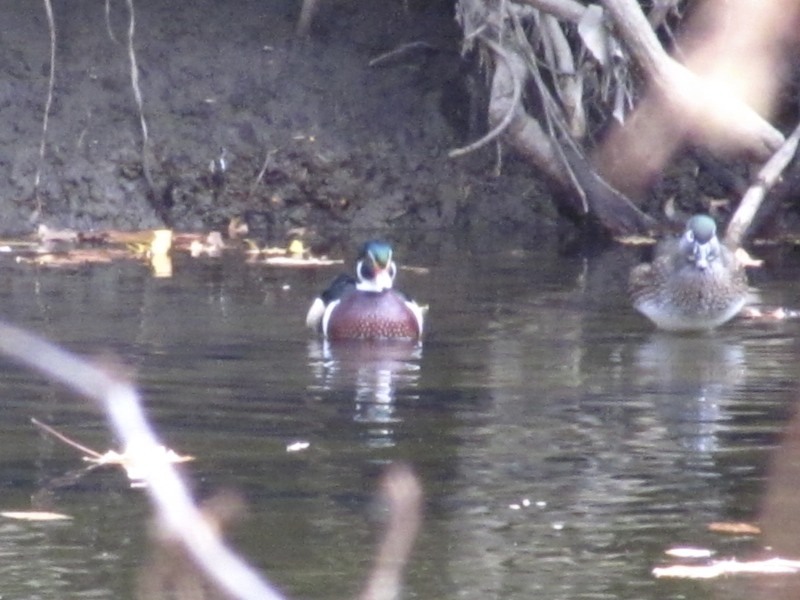 Wood Ducks have returned to living along the Wissahickon Creek. Photo by Donna L. Long. An old inn along the Wissahickon Creek (Lincoln Drive) on a fall day. Photo by Donna L. Long. 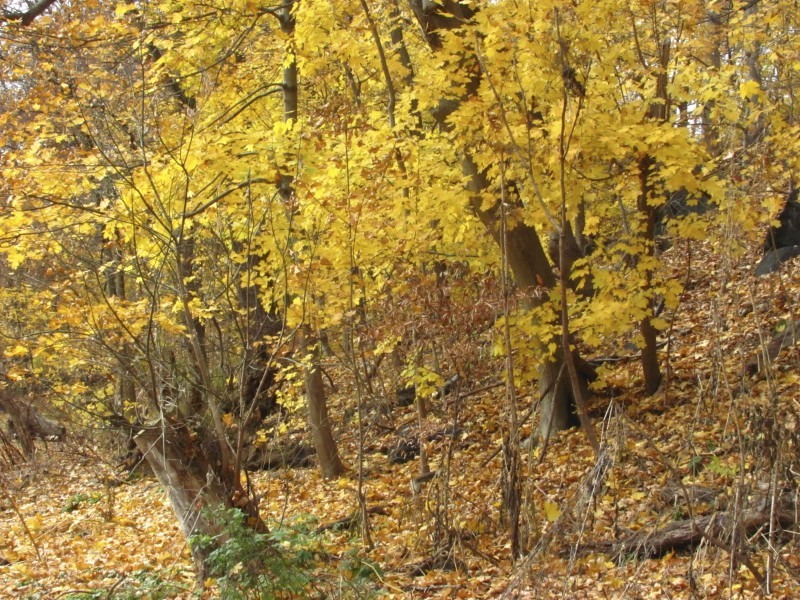 Trees along a path in the Wissahickon Valley Park. Photo by Donna L. Long. 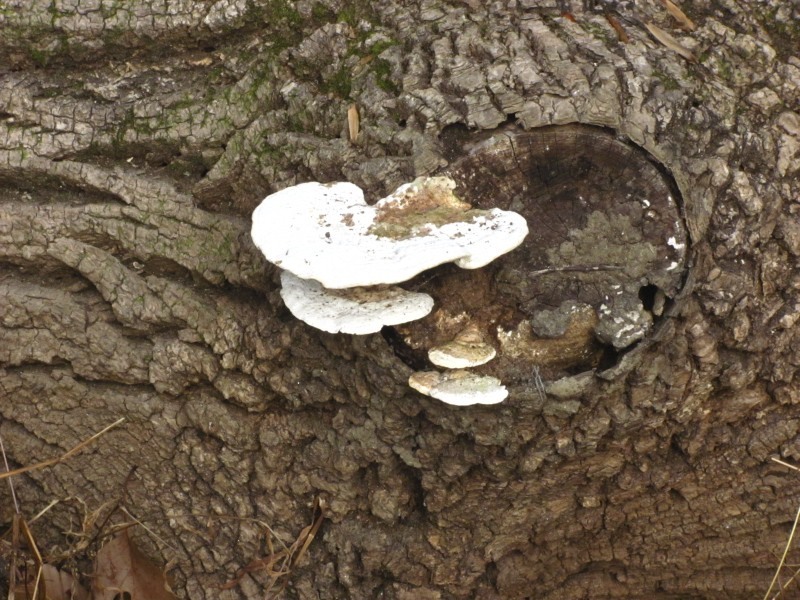 Fungi grows on a rotting tree in the Wissahickon Valley Park. Photo by Donna L. Long. 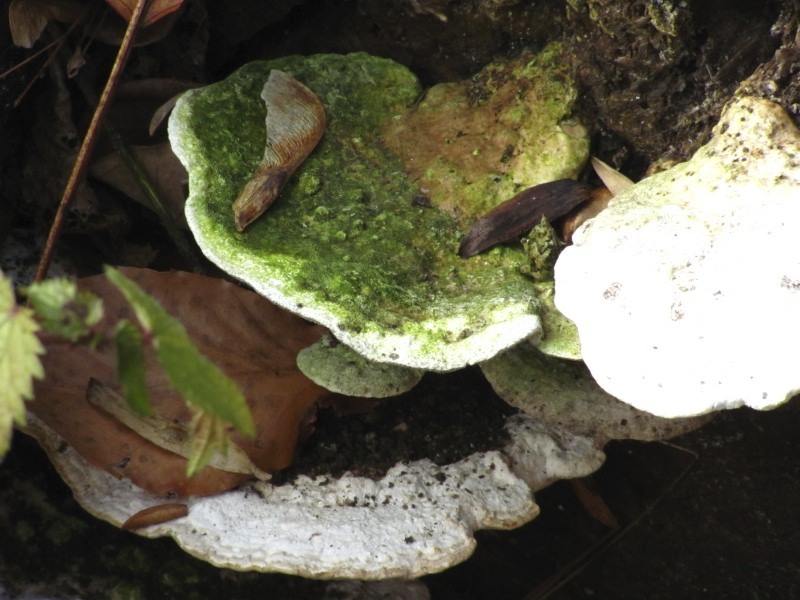 Fungi on a rotting tree in Wissahickon Valley Park. Photo by Donna L. Long. 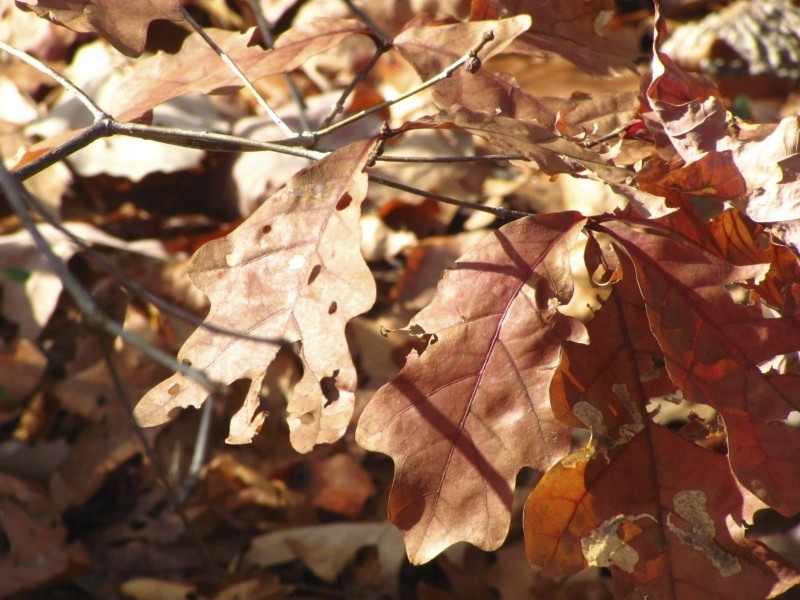 White Oak leaves in Wissahickon Valley Park in fall. Photo by Donna L. Long. 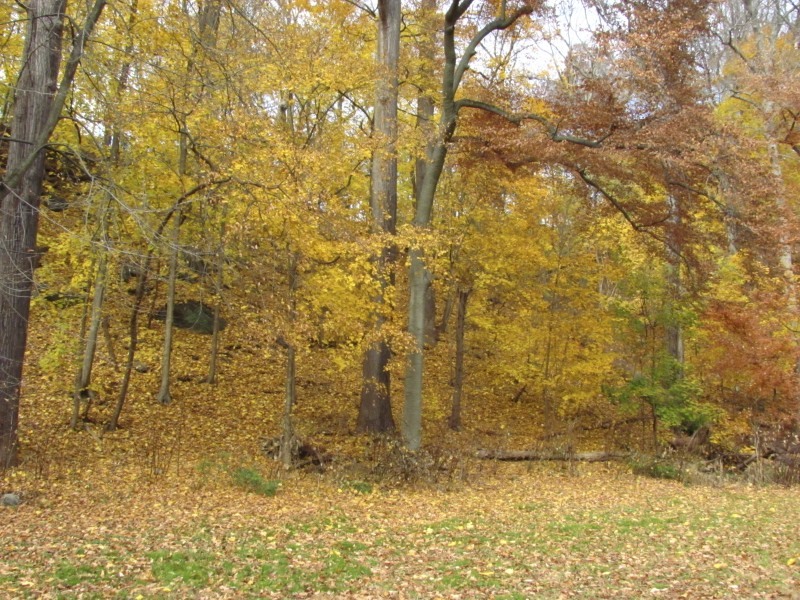 Would you like to go on hikes in the Wissahickon? Visit the Friends of the Wissahickon website for details. 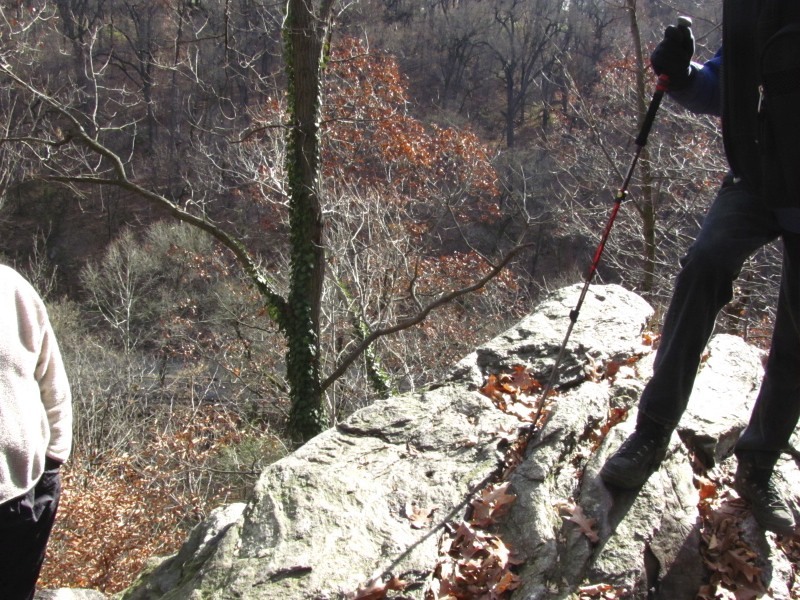 Get a waterproof trail map of the Wissahickon here.